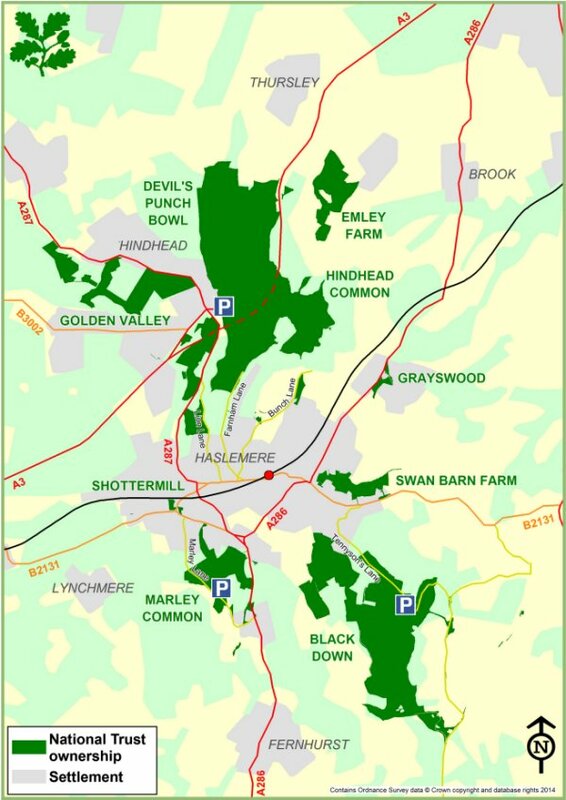 The National Trust sites on this map are dominated by heathland and woodland. Heathland was established through many centuries of stock grazing on poor, sandy soils which allowed only the hardiest plants to survive. As grazing died out in the 20th Century, huge areas of heathland were lost to development as well as to scrub invasion endangering a number of rare species of ground-nesting birds, reptiles and insects. 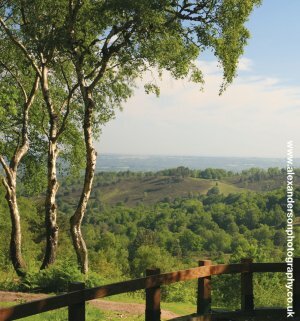 In recent years with the help of the Black Down and Hindhead Supporters, the National Trust has been restoring its heathlands and re-introducing grazing stock to help maintain them. 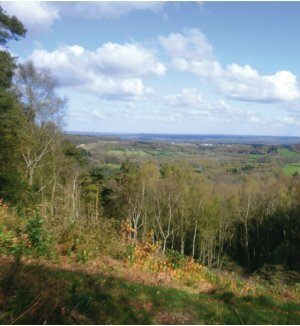 Much of the woodland has been managed and coppiced for many centuries to produce timber for construction, charcoal to fuel the local iron foundries and to supply fence posts. 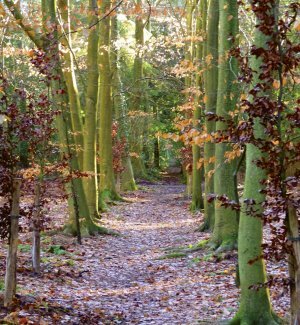 However, there is also ancient woodland which has been woodland since the 16th century. 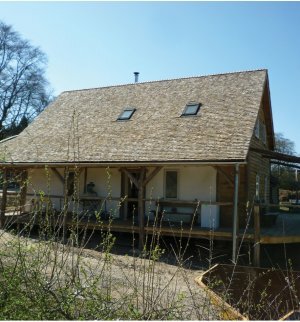 There is also farmland at Swan Barn Farm, which is managed as a traditional smallholding and at Valewood where tenant farmers use the pasture for summer grazing.